My kids have definitely inherited my love of bread. In fact, bread and biscuits of any kind don’t last around our home very long! 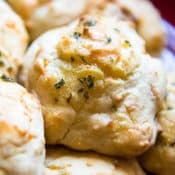 After my son asked me to make some biscuits to go with dinner last week, I checked the side of a Bisquick box and found a recipe for Cheddar Biscuits with OLD BAY® Seasoning. Well, the recipe looked incredible, but I was short a few items including the OLD BAY® Seasoning. I was also running low on butter and didn’t want to use all of it for this recipe. 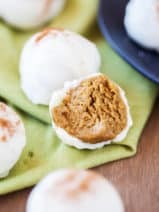 I decided to mix-up the ingredients that I had on hand and I made one significant substitution that I wasn’t sure about at first, but ended up producing AMAZING biscuits! Instead of using 1/4 cup butter in the biscuit batter, I used 1/4 cup of ranch dressing. I didn’t use a dry packet of ranch dressing mix, I literally used 1/4 cup of ranch dressing right out of the bottle. 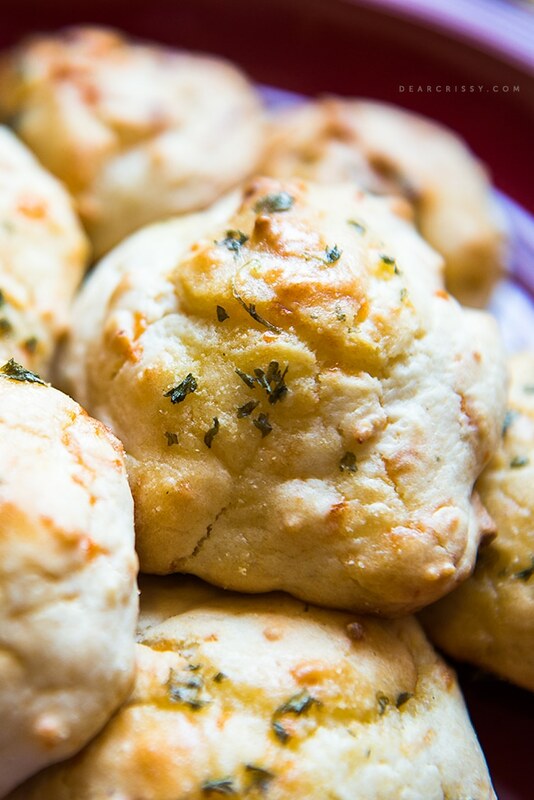 The ranch added a delicate but delicious flavor to these cheesy biscuits and my family went wild for them! 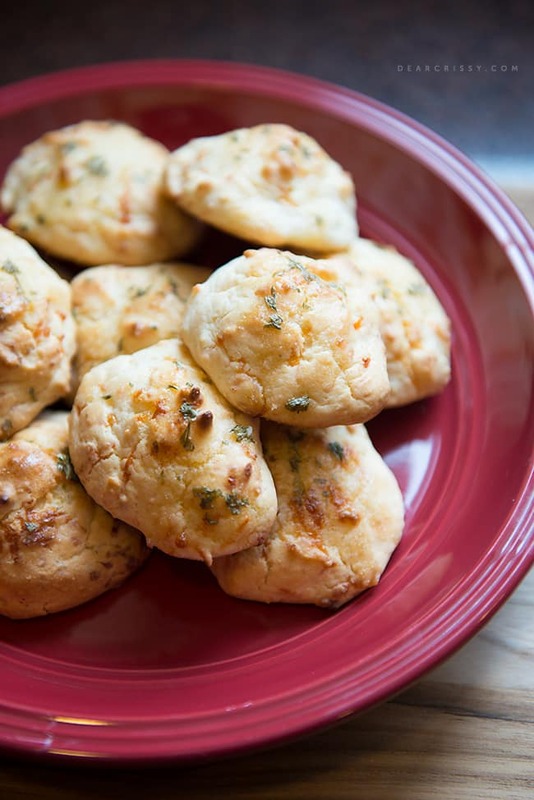 I ended up making a second batch of these easy cheddar ranch biscuits which I placed in a freezer bag for later use. Already-baked biscuits are simple to reheat and you can do it in the microwave or conventional oven. You’ll find instructions for this below the recipe below. I’m a big fan of having delicious food on hand, especially around the holidays. It’s amazing how many incredible meals you an make the the help of Bisquick, even if you don’t have many ingredients on hand. 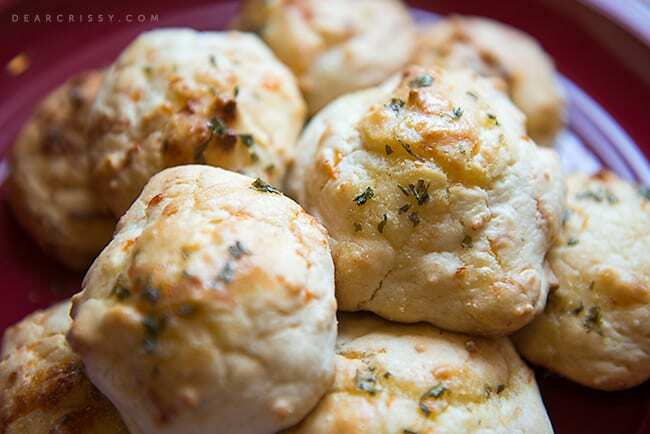 I know I’ll be making these simple cheddar ranch biscuits again and again! Be sure to follow Bisquick on Facebook and Pinterest. 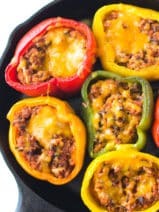 You can also check out my easy meal ideas on my #GetYourBettyOn Pinterest board! 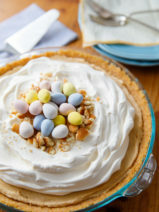 You can also get more make-ahead recipes on Bisquick’s site! 1. Heat oven to 425°F. 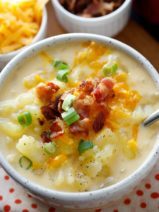 In small bowl, stir together Topping ingredients; set aside. 2. In medium bowl, stir Biscuit ingredients until soft dough forms. Drop dough by 8 spoonfuls onto ungreased cookie sheet. 3. Bake 16 to 18 minutes or until biscuits are golden brown. Immediately brush hot biscuits with Topping. Serve warm.